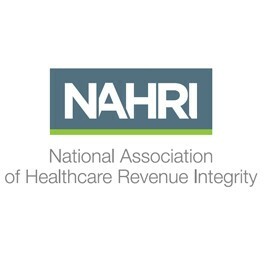 NAHRI’s mission is to enhance the revenue integrity profession through standards, advocacy, networking, and the promotion of shared knowledge and resources. This mission statement was developed by our NAHRI Advisory Board, an amazing group of revenue integrity professionals who bring a wide range of expertise and experience to this organization’s leadership. Members receive significant discounts on all national and local NAHRI events. Learn from the best and brightest, interact and network with industry leaders, or roll your sleeves up and participate in an intensive, in-person, training events. NAHRI members receive discount off of future certification program. This program will provide professionals like you a tangible way to enhance and promote your revenue cycle skills. I speak for the NAHRI Advisory Board when I say we all have visions of amazing strides we can make together in the industry. Now is the time. Simply fill out the charter membership form enclosed and return it today. I look forward to you joining our growing community of revenue integrity professionals.